Directed by Steven S. DeKnight. Starring John Boyega, Scott Eastwood, Cailee Spaeny, Burn Gorman, Charlie Day, Tian Jing, Jin Zhang, Adria Arjona, and Rinko Kikuchi. A decade has passed since the Kaiju were defeated, but the human race continues to prepare for their inevitable return. 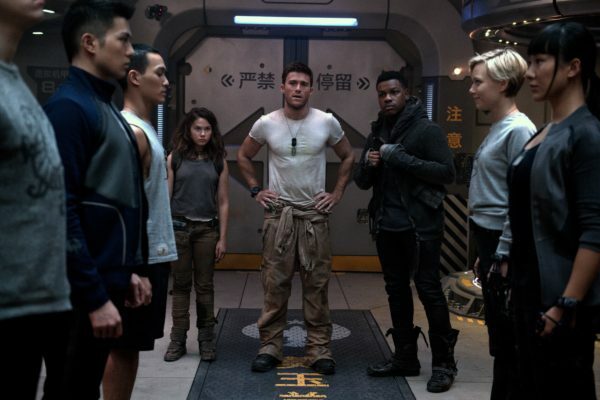 When Mako Mori (Rinko Kikuchi) recruits Jake Pentecost (John Boyega), son of the apocalypse-cancelling hero, Stacker Penecost, along with his cadet, Amara (Cailee Spaeny), it’s just in time, as the behemoths are starting to emerge from the oceans for a bout of building demolition. 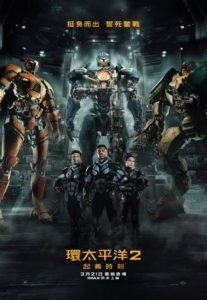 Thanks largely to the Asian box-office, Guillermo del Toro’s beautifully banal Pacific Rim grossed over $400 million worldwide. This is an important caveat to take into account when asking yourself if a sequel to a movie considered a commercial underperformer should exist. Especially in the wake of the diminishing returns of the aesthetically similar Transformers franchise. From the outside Pacific Rim Uprising appears to be a similar beast; large robots called Jaegers do battle with huge Godzilla like monsters called Kaiju. It’s a tale as old as time where cinema is concerned. What marks out DareDevil and Vikings showrunner, Steven S. DeKnight’s directorial debut is that there’s one thing towering above any monolithic giants, and that’s the growing star wattage of John Boyega. Using the kind of irrepressible charm that he displayed in The Force Awakens, Boyega makes the previously tedious bashing of bots undeniable fun. Not all of the comedy lands, but it’s such a step-up from the po-faced characters of the first film. His double act with Caliee Spaeny, who’s also terrific, is the frame upon which robot shenanigans hang. For all its faults, Pacific Rim at least had some moments of awe-inspiring monster mash, but rather than copy those neon hued darkness dust-ups, DeKnight sets his battles against some refreshing visual backdrops. Sending Gypsy Danger (possibly the only Jaeger name you’re able to remember) into a snowstorm lends the subsequent fight a clarity that was lacking in not only the first film, but also the similar mechanics of the indistinguishable editing of a Transformers movie. In Uprising there’s a visual simplicity to the fights, which might lack the romance of a Del Toro smackdown, but at least it results in coherent action scenes. 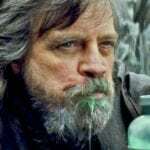 While we’re on the subject of simplicity, let’s talk about the script, which for a movie that embraces the ludicrousness of the premise, is still well below par. Suffering most are the peripheral characters, who are a collection of multicultural faces, but instantly forgettable names, if they were even given one in the first place. As the front man for this collection of no-names, Scott Eastwood barks his drill sergeant orders with zero authority, making the instantly forgettable love-triangle between him, the underdeveloped character of Jules, and Boyega, as confusing as it is inconsequential. It’s the kind of film in which character development is indicated by an evolution in clothes and hair. 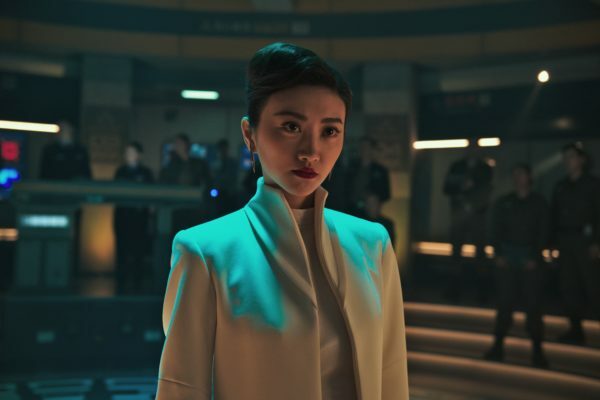 As a fun aside you can keep an eye on the impressive Tian Jing as an example of this. Pacific Rim Uprising is a film in which brains can be seen kept in stasis, and therein you’ll find the secret to enjoying this superior sequel. If you can pop yours in a jar for a couple of hours, you’ll have a helluva lot of fun spending time with Boyega and his bots.